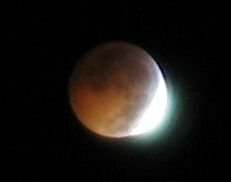 Earlier today there was a spectacular total eclipse of the moon that was easily visible here in West Palm Beach. 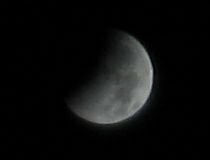 Following are the photos I took of the eclipse as it unfolded. 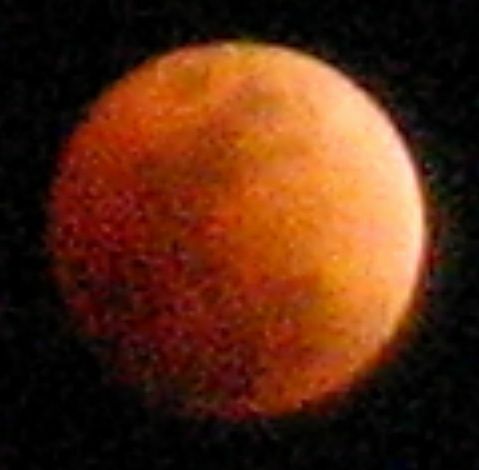 To take these photos, I mounted my Canon Powershot camera on a tripod and set the zoom as far as it could go. 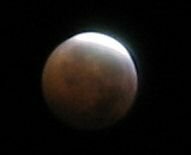 I used some very slow shutter speeds to photograph the moon, starting with 1/200 of a second while the moon was still bright and switching to a slower speed of 5 seconds during the total eclipse. 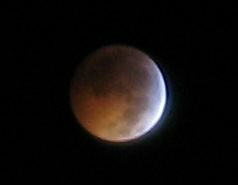 Total eclipse reached at approximately 2:45 a.m.
4:04 a.m. The moonlight is beginning to return. What an awesome way to observe the winter solstice. 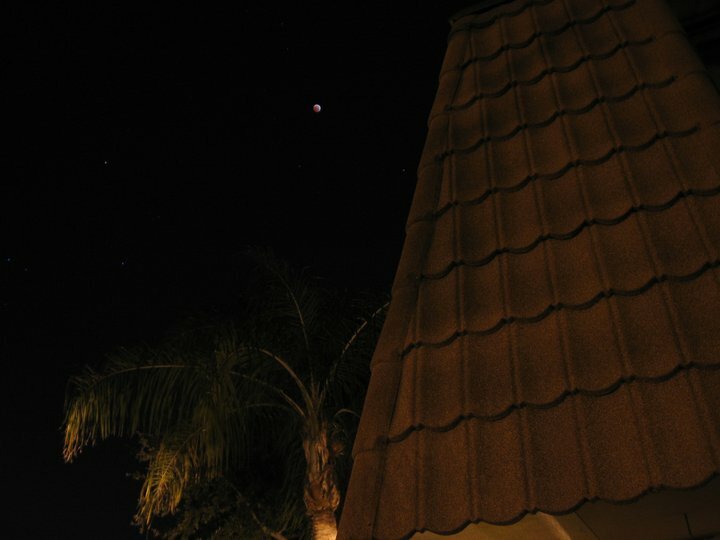 Here are some photos I took of the lunar eclipse that took place last night. I mounted my digital camera on a tripod and used its zoom function to get some extreme closeups of the Moon. As a result, the resolution of these photos got compromised. 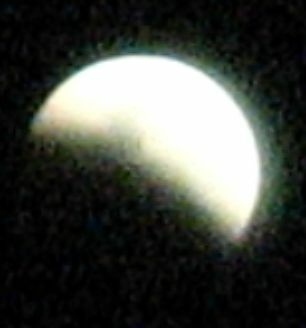 This first photo shows the Moon as the eclipse began. There was a beautiful halo around the Moon that I tried to capture but the halo was rather dim. 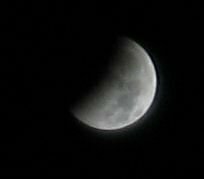 I couldn’t believe how fast the eclipse was unfolding. 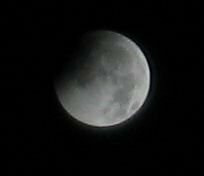 And this the Moon during the eclipse. I was awestruck by its dark, amber color. I have never seen the Moon look like this. 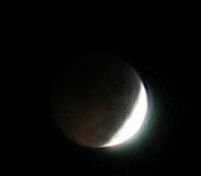 Less than 2 hours later, the eclipse was over. Even as I type this I’m still in awe over what I saw last night. 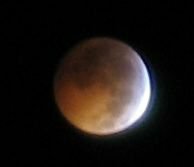 That was without question the most spectacular eclipse I have ever seen with these two eyes.